Images of Victorian landscapes cocooned in silver threads spread across international social media last week leaving initial non-believers awe-struck. 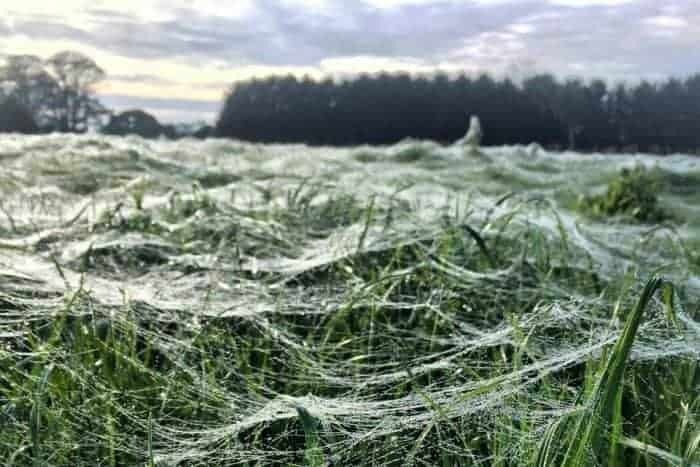 In what might seem to be stranger than scenes from the most imaginative science fiction movies, spiders fell from the sky in south-western Victoria, as cooler conditions prepared the perfect conditions for a phenomenon known as ‘ballooning’, with spiders invading the New South Wales Southern Tablelands last month. 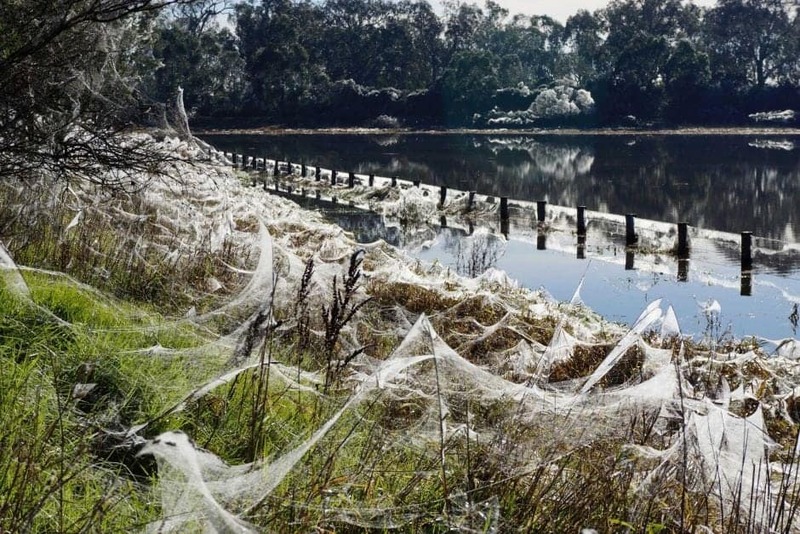 McLean View Dairy director Nathan McLean said spider silk covered the property near Portland, Victoria. “When the tension in the air is strong enough the spider simply lets go and they get carried along in the breeze until they either drop the line and fall to the ground or the breeze drops,” explained Martyn Robinson of the Australian Museum adding that it was common for the spiders to seek higher ground during the onset of cooler temperatures and heavy rain. “The baby spiders will climb to the top of the nearest tall object, they stick their abdomens in the air and they release silk,” he said. Speaking to 9News Robinson continued saying winter presents the ideal conditions for the phenomenon known as ballooning. “They can travel along in that way for kilometers, they have devices like a hoover powered by a battery, and they haul themselves up like a hot air balloon. People have caught baby spiders up to three kilometers off the ground. The phenomenon was also observed in 2012 we flood waters raced past the town of Wagga Wagga, in New South Wales, the spiders were forced to clamber up trees and bushes, spinning their webs as they climbed. 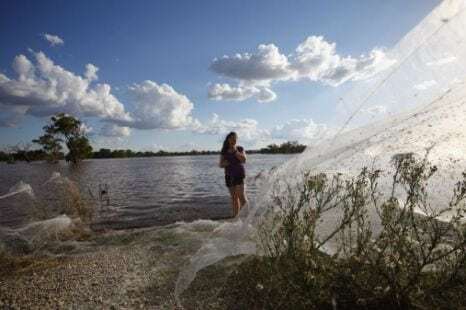 Nine thousand resident were evacuated from the area only to return home to find the landscape covered in cobwebs and tree branches were cocooned in the sticky webs.